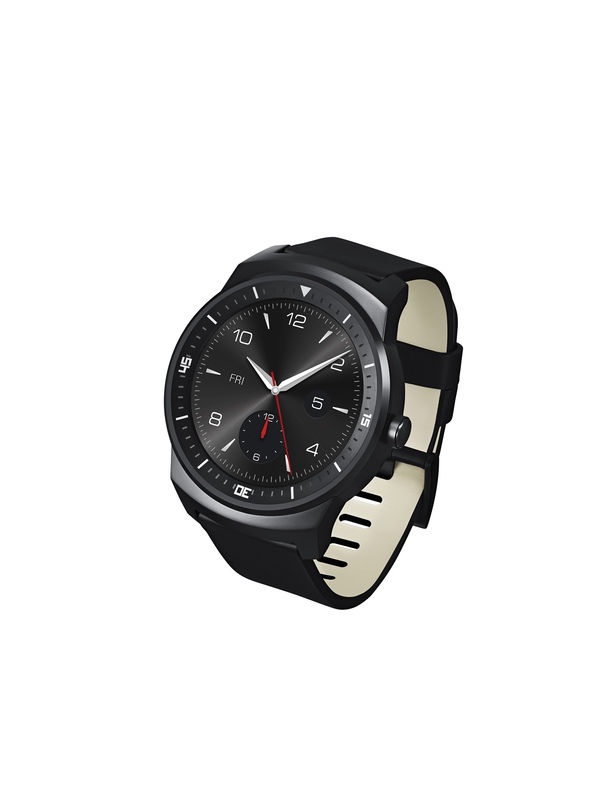 Following the June release of one of the first-to-market wearable devices powered by Android Wear™, LG Electronics (LG) is quickly expanding its wearable product offerings with the unveiling a new Android Wear device — the LG G Watch R at IFA 2014 in Berlin next week. The LG G Watch R will be the world’s first watch-style wearable device to feature a full circle Plastic OLED (P-OLED) display that utilises 100 percent of its circular display. The most eye-catching feature of the LG G Watch R is its 1.3-inch full circle P-OLED display that produces stunning image clarity even under bright sunlight and superb clarity when viewed from any angle. Powered by a powerful 1.2GHz Snapdragon 400 processor, the LG G Watch R offers 4GB of storage, 512MB of RAM and a durable 410mAh battery. This Android Wear device will effortlessly run all compatible apps available in the Google Play Store and with an Ingress Protection Rating of IP67, the LG G Watch R is designed to run for up to 30 minutes in one metre of water.